They are called the “Smoky Mountains” for a reason. The trees smoke. When you go there, the park rangers can explain it to you in more scientific terms. But, basically the moisture in the tree evaporates a lot. Even on cold days you can see steam, vapor, whatever you want to call it, coming out of the trees, giving the mountains a smoky look. This stop was the beginning of the last trip I took in the US before moving to the UK. I planned to go to school in Manchester, England for a year and wanted to see my brother and sister before I left. My brother came down from Ohio to meet me at Gatlinburg, Tennessee to say his last goodbyes. After this, my mom and I drove to Colonial Williamsburg and then to my sister’s place. We toured Washington D.C. and my car was sold. I left for England from Dulles Airport via Chicago’s O’Hare Airport. But all those photos are lost. I was excited about living outside the US for the first time in my life. I’d traveled to other countries before, but never alone. Everyone else in my family had lived abroad. In fact, I’m the only one who was born in the US. My mother is from Belize. She went to college in Costa Rica and lived there for 2 years. She worked in Guatemala for 2 years. 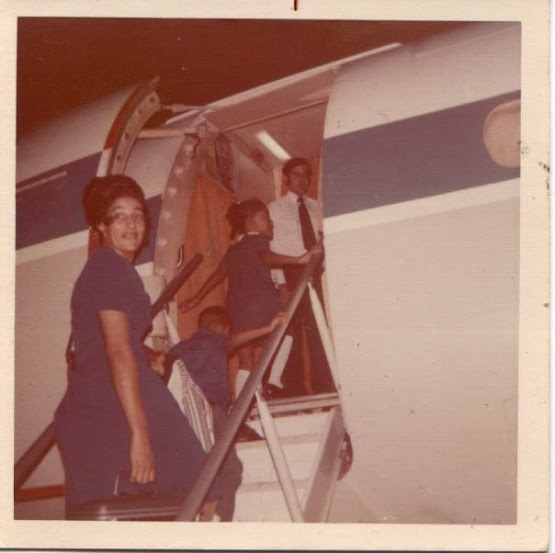 Then she married a Panamanian and lived in Panama for 5 years. That’s where my brother and sister were born. 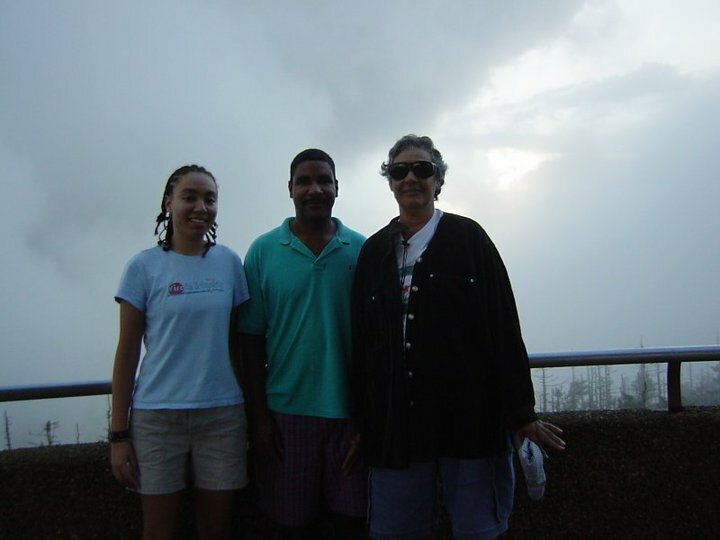 The family moved from Panama to the Cayman Islands and spent 2.5 years there before moving to Jamaica. After 3 years in Jamaica everyone moved back to the Cayman Islands for another 2.5 years. In 1979, they moved to St. Croix. One month after that move, I was born. That’s when the family decided to stop moving. So, I’d never lived outside the US. So was I scared to move away from all my friends and family? No. Well… not in Gatlinburg. The fear started to creep in the day I left for Manchester. My sister was driving me to the airport. 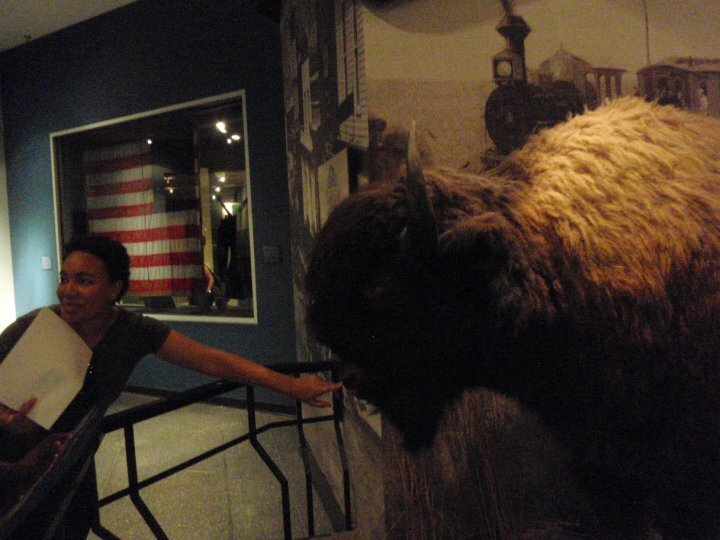 We were on the Rock Creek Parkway when it hit me what an insane thing I was doing. My sister looked over at me and asked me if I was okay. I told her I was feeling a little scared. “What if this is the worst decision I would ever make in my entire life?” I felt like I was about to cry. I did make friends very quickly. There were a couple ladies on my flight from Chicago who were also attending the University of Manchester. I would end up seeing much of England with them. We hung out for most of that first day. What? No Really, can you say that in English? Because of jet lag, my new friends decided to go take naps and left me on my own shortly after I got to the university. I needed to get some water so I walked to a nearby corner store before heading to my dorm to take a nap myself. I picked up a bottle of water and asked the clerk how much it cost. He typed the price into a calculator. Apparently he was used to dealing with the foreign exchange students who spoke very little English. But come on, English is my first language! …my only language. I went up to my dorm room and cried for a good hour. I wanted to go home. I wanted to be back in the US where I can understand people when they speak. Then it hit me that I didn’t know where to go to buy things. In the US if I need a hammer, I’d go to Home Depot or Lowes. Where do I go here? If I need medicine I’d go to CVS or RiteAid. Where do I go here? If I need an oil change I go to Jiffy Lube. Where do I go here? (But really I could just go to Wal-mart and get all those things done.) Then I cried some more. “I don’t have a car anymore!” More tears. Then I stopped. Going back was not an option. I had already paid for my return ticket to visit my sister at Christmas and started paying for my tuition. There was no money left for me to turn back now. I washed my face. The thing I needed most was more friends. When you’re in a new country, the one thing you can’t have too much of is a social network. So I went downstairs into the courtyard and socialized. I spent the rest of the day hanging out with Irene from China. She was a great person. My sister was right. By the next day I was fine! Take I-40, exit 407 (Sevierville) to TN-66 South. At the Sevierville intersection, continue straight onto US-441 South. Follow US-441 through Sevierville and Pigeon Forge into park. FREE!! This is actually the only free national park in the US. Open year round 24 hours a day. Turn off Newfound Gap Road 0.1 mile south of Newfound Gap. 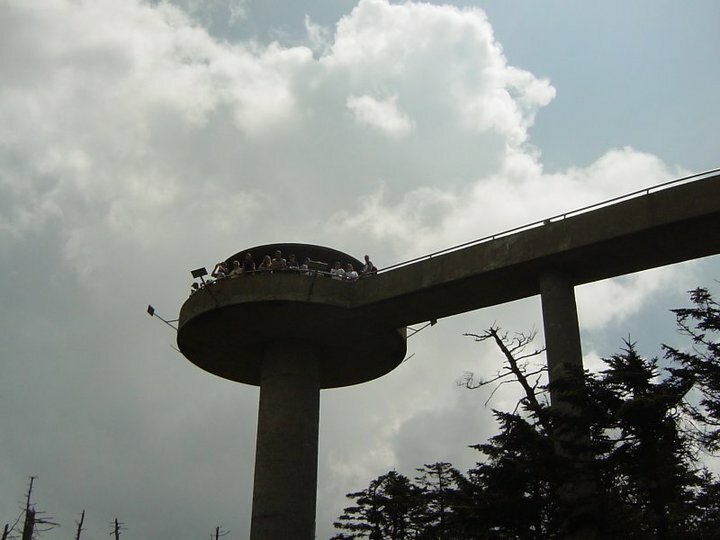 Clingmans Dome is open year-round. It is also closed whenever weather conditions require. It is a long hike up to the dome, but not so difficult that an average semi-healthy person could not make it up there eventually. But it is not as easy as it looks. This place has an amazing view of both Tennessee and North Carolina, but not on foggy days. Check the weather forecast before you hike up there for nothing. The Appalachian Trail crosses Clingmans Dome. 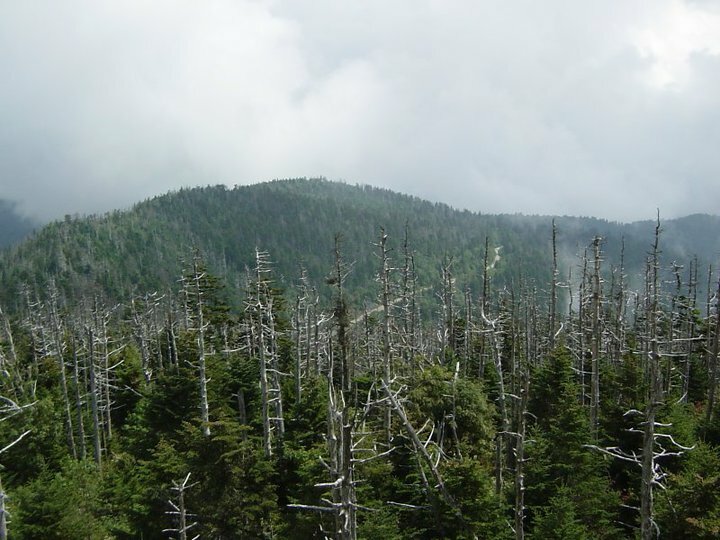 It can be 10 -20 degrees Fahrenheit cooler up Clingmans Dome than the rest of the area. It was named after Thomas Lanier Clingman.